The air is green! Get carried away to a happy garden: an axhalation of red currant, tomato and basil leaves. 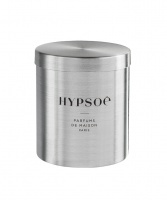 With the Hélios refillable candle, indulge in the play of light. Its lacquered metal tumbler will project the glow of the flame through its small openwork lines, forming a play of modern and graphic patterns on the walls of a room plunged in the dim light. Intimate atmosphere guaranteed coupled with the delicate fragrance of the candle! 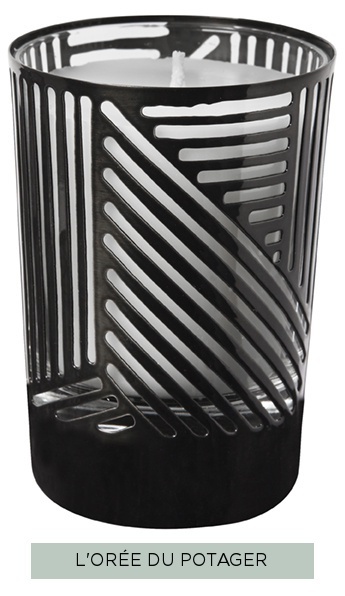 Refillable transparent glass in an openwork lacquered metal tumbler. Mineral wax enriched with vegetal wax. Lead-free cotton wick. French wax an perfume. 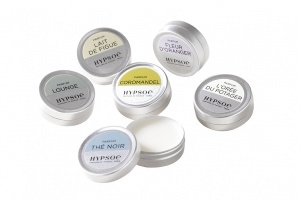 Manufacturing compliant with french and european regulations. Burns for approximately 50 hours. Once finished, the candle glass is refillable thanks to our scented wax eco-refills.